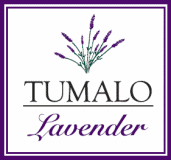 Tumalo Lavendar distill their plants for essential oils and hydrosols, making more than 60 products. Located just 15 minutes from downtown Bend, the Tumalo Lavender family farm grows commercially 10,000 lavender plants in field and over 20,000 plants in greenhouses. Additionally, they distill their plants for essential oils and hydrosols, making more than 60 products with their lavender oil, hydrosol, and buds. Their fragrant products are sold as 3-gallon plants to Costco as well as thousands of 3’/4’ to 1 gallon size to landscape companies and the general public. To learn more or purchase their products online, please visit their web store at www.tumalolavender.com. Also, tours of their farm can be made by appointment.